Jaclyn Roessel, Dine’ (Navajo Nation), has an MPA from Arizona State University. 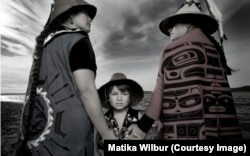 Matika Wilbur has a goal that will take her across the United States. 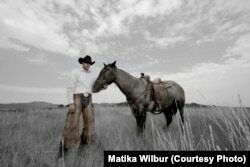 She plans to photograph every federally recognized Native American tribe in the country. She hopes that her photographs will help end the many stereotypes Americans and others worldwide have of native people. Her mission is called “Project 562.” That number represents the number of federally recognized tribes in the U.S. when the project began. Now, there are 566. Ms. Wilbur herself is a Native American woman of the Swinomish and Tulalip tribes. She has already been on the road for more than three years. Her journey, she said, has helped raise the spirits of young Native Americans. She said they are used to seeing stories linking Native people with poverty, alcoholism, lower life expectancy, and other social problems. Ms. Wilbur is a high school teacher as well as a photographer. She hopes to see her images in educational materials in the future. She also hopes her photos will help reshape how young people, like her former high school students, feel about themselves. 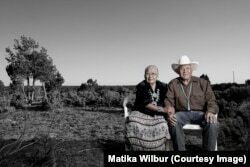 “There’s something in this collective consciousness that still believes that Indians are lesser human beings, savage, that we’re conquered,” Ms. Wilbur said. She said false and outdated ideas of Native Americans make them feel bad about themselves. Industrial engineering student, Stephen Yellowtail, of the Crow Nation, at his family’s cattle ranch in Montana. Native American youth have the highest suicide levels in the country. Ms. Wilbur said she hopes her photographs of a diverse people will not only inform, but also uplift. “Hopefully we can create something beautiful and positive, something that shows stories of hope and endurance,” she said. Dora Mekouar reported this story for VOA. Ashley Thompson adapted in for Learning English. Caty Weaver was the editor.